United States of America remain as the world’s leading study destination for overseas students to make their dreams become a reality at a faster pace. Every year, thousands of international students from across the globe flock to this vibrant, cultured nation to broaden their horizons and enhance their skills and abilities. America has one of the World’s finest education systems, with outstanding programs in virtually all the streams that would be supportive for a student to stand easily apart from the crowd. Every year, this nation hosts around 800,000 overseas students to help them take part in its internationally recognized learning programs. The choice of Universities in the United States is the largest in the world. An interacting fact about this world-class destination is that it is home to over 4,500 most prestigious and well-known universities which provide a quality education that can lead you to career success. This top-notch study destination boasts 76 top best universities out of 200 approved and recognized institutions based in USA. F-1 Student Visa: An overseas student who aspires to undertake full-time study at the renowned universities, institutions or colleges of USA can make use of this special visa class. Dependents like a spouse or children accompanying the visa holder of F-1 will be permitted to travel with an F-2 student visa. However, spouses moving under this special visa class are not allowed to work but are permitted to apply for their own visa to work or study in USA. M-1 Visa: This special student visa class is mainly meant for individuals who would like to be a part of the non-academic, vocational or training programs of the nation. J-1 Visa: This exchange visitor visa is mainly applicable for students willing to take part in the exchange programs in the country. Why to wait be the part of its learning environment to fulfill your career goals soon. 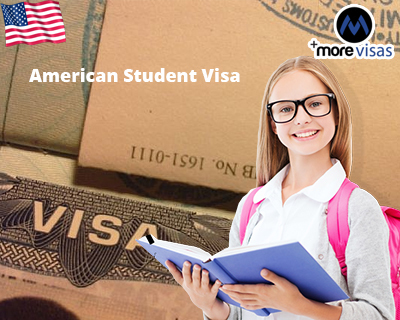 If you want to study in USA, provide your contact details at MoreVisas Enquiry Form. ← A Brief Overview on Canada Visas Know How to Get It!